Don't Starve :: Don't Starve: Shipwrecked Launches March 31st! Don't Starve: Shipwrecked Launches March 31st! 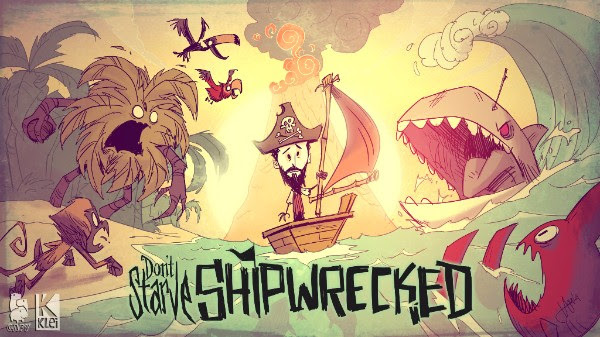 We here at Klei Entertainment and our friends over at CAPY, creators of Superbrothers: Sword and Sworcery, Super Time Force and Below; are excited to announce Don’t Starve: Shipwrecked will fully launch on March 31st! Fans of Don’t Starve have been hungry for more adventure. To create this tropical expansion to the original Don't Starve, we teamed up with fellow beloved Canadian studio CAPY[www.capybaragames.com]! It was tremendous working together with them on Don’t Starve: Shipwrecked, and we’re extra grateful to have them be a part of Klei’s fourth successful Early-Access project! Oh i sure hope they release a dst version!!! I know right, go Dst!